Designed in harmony with the natural environment, the Auberge de montagne des Chic-Chocs offers comfortable and friendly accommodations in the heart of an untamed natural setting. The Lodge can accommodate up to 36 guests, thus preserving a sense of privacy. The common areas, such as the dining room and lounge, encourage conversation and interaction with other guests. The balconies and large windows offer superb views of bare mountain peaks, the Chute Hélène waterfalls and miles of virgin forest. At 615 metres (2020 feet) in altitude in the Chic-Choc Mountains, the air is pure and you will be filled with a sense of well-being. Admire the stunning landscape spread out below you and enjoy your favourite activities in the company of experienced guides. This magical site offers a wide range of activities to choose from. Your playground is 60 km2 (20 sq. mi.) of mountains. As a bonus, enjoy two 1000 metre (3300 ft.) peaks! Reservations are required, as the Auberge de montagne des Chic-Chocs is only open for pre-booked stays. The Auberge de montagne des Chic-Chocs is only open for pre-booked stays. 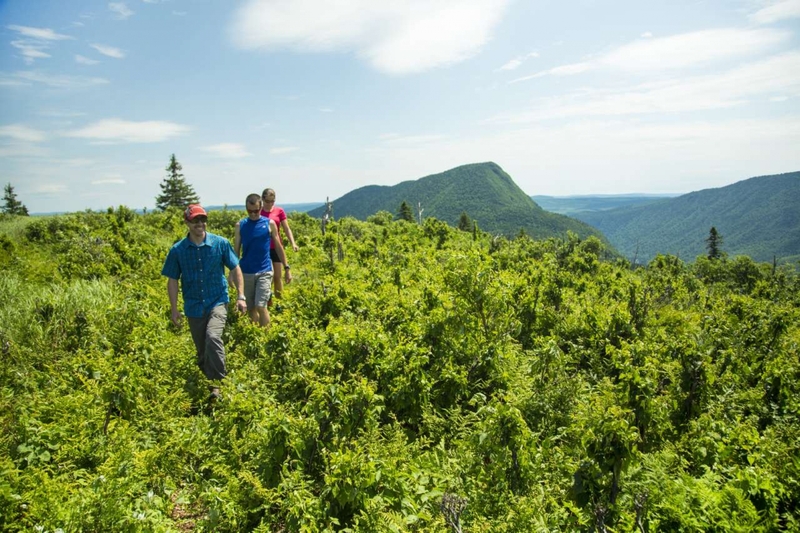 This exceptional territory of bare summits and deep valleys is ideal for day hikes. Some 60 km (40 mi.) of well-marked trails allow you to explore this mountain setting in complete safety. Explore this territory by mountain bike on nearly 200 km (125 mi.) of old forest roads. These trails are suitable for experienced cyclists who are in good physical condition. The forests surrounding the Lodge are home to moose. In addition, about 100 species of birds, including several birds of prey, have been identified in the surrounding territory. Enjoy unforgettable sights! The Auberge de montagne des Chic-Chocs is located in Gaspésie, 55 km (35 mi.) south of Cap-Chat in the Matane Wildlife Reserve. To get to the Lodge, you must first go to Hôtel & Cie, located at 90, boulevard Sainte-Anne, in Sainte-Anne-des-Monts. Transportation is provided from there directly to the Lodge.